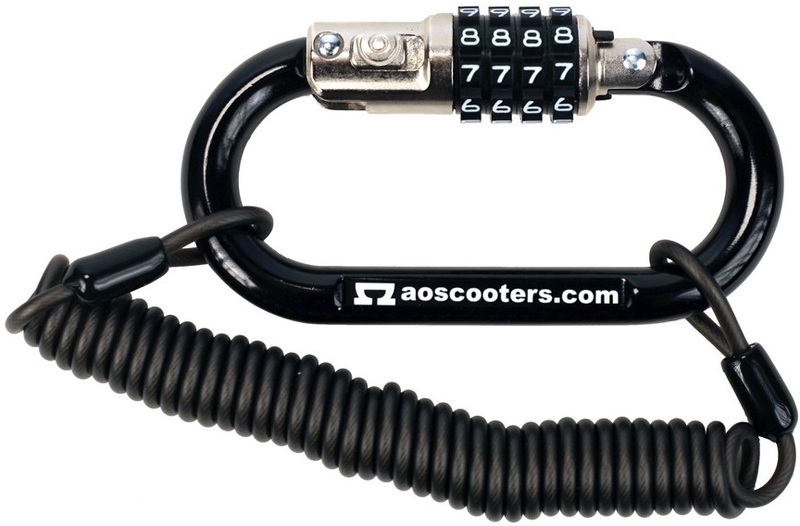 AO’s lock is the perfect solution to prevent scooter theft. The aluminum carabiner comes with a 4-digit combination lock and plastic coated steel cable. It’s light weight, fits in a pocket and should be a must for anybody riding his or her scooter to school.